Discover the beautiful coastal areas of Lisbon on this half-day hiking and beach tour. 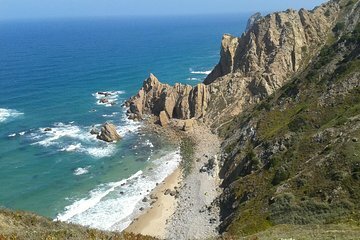 Head to up the to Guincho Beach, Cascais, and Ursa Beach and see the rocky coastline that’s characteristic of Portugal. Look out for local wildlife as you walk through the soft sand and watch the surfers take on the Atlantic Ocean. This tour includes a hike: you must wear comfortable clothes and shoes, a bottle of water and sunscreen lotion.